A recently published family journal, The Charleston Bulletin Supplements perfectly reflects Garnett’s reminiscences of her aunt. Virginia Woolf’s two nephews, Quentin and Julian Bell, started a daily family newspaper in 1923 with the title The Charleston Bulletin. These couple of pages were handwritten or typed by the boys, later mainly by Quentin alone, and were placed in front of the family each morning. The booklets consisted of stories about the everyday activities of the household and a weather forecast. This kind of enterprise was not without precedence in the family, as Woolf herself was the author of Hyde Park Gate News, another family journal, when she was in her early teens. This fact may have been one of the reasons why Quentin Bell asked his aunt to contribute to his project, which Woolf did with great enthusiasm. The stories composed in their collaboration, written by Woolf and illustrated by Bell, were special issues of the Bulletin and were referred to as the Supplements which, unknown for so many years, have now been published by The British Library. The collection of the short and concise stories, written between 1923 and 1927, were inspired by the chaotic life of Vanessa Bell’s family and friends, mostly members of the Bloomsbury Group, who frequently visited the Bells’ farmhouse in Charleston, Sussex. The pages of the book are the facsimile editions of the original manuscripts, so that the reader is invited to see what the journals looked like when the family read them at the breakfast table. This must have been an entertaining part of the day as the characters, events and places based on real life were joined by fictional ones, richly coloured by Virginia Woolf’s unconstrained imagination which made some of the episodes develop into visions one may call literary nonsense. The special Christmas issue from 1923 revolves around Vanessa Bell, her troubles with the limitations of time and her absent-mindedness, which could also lead to her eating a part of her necklace of beads instead of her porridge. The authors clearly titled another episode, Eminent Charlestonians, after Lytton Strachey’s Eminent Victorians and took the misfortunes of several members of the household, including the servants and the dog, under their wicked scrutiny. The Life and Death History of a Studio is the fantasy version of the painters’ building their new studio at Charleston. The chaos caused by the Charlestonians’ endeavours is expressed by all imaginable objects from a camel which consumes domestic animals, to a heap of the most unusual things, including ’25 male rats’ (73.) and false teeth. The Dunciad, written in 1924, similarly to Pope’s work, is a satire, but instead of dullness it is of Duncan Grant’s life, which seems to be far from boring according to Virginia Woolf. His vicissitudes stretch from a doubtful birth through a shipwreck and being kissed by Queen Victoria to setting the pond on fire. The following year’s special Christmas issue was The Messiah, another satire, this time on Clive Bell, whose birth was presented as the Nativity itself. The targets of irony were his vanity, snobbery and womanizing, suggesting that his baldness was caused by women stealing his curls to keep them in their reticules. The Monthly Calendar is a collection of events from each month of 1927. One episode mocks Vanessa’s choice of a cottage in South of France, completely unsuitable for providing stimuli for painting, as opposed to Charleston. In another the rivalry of the Bells and the Woolfs’ newly purchased cars the Woolfs’ Singer triumphs as superior, of course. The period in which the issues were created was the most significant in Woolf’s career. The quest for her own literary voice resulted in such landmark novels as Mrs Dalloway in 1925 and To the Lighthouse in 1927. Thus the writing of the supplements may have served as a channel to release Woolf from all the strains her mind was subjected to while composing her difficult works. Although the supplements are far from the pieces of Woolf’s high literature, they are an invaluable representation of her utmost playfulness, which even Orlando cannot demonstrate so freely. The careless flight of Woolf’s imagination makes us feel the bohemian spirit of Charleston as if we were part of it. 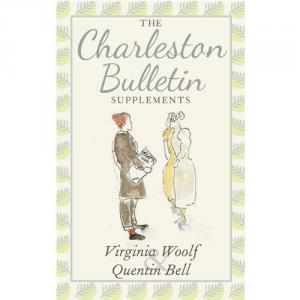 Virginia Woolf & Quentin Bell: The Charleston Bulletin Supplements. London, The British Library, 2013. 1 Angelica Garnett: Deceived with Kindness. London, Pimlico, 1995. 106.